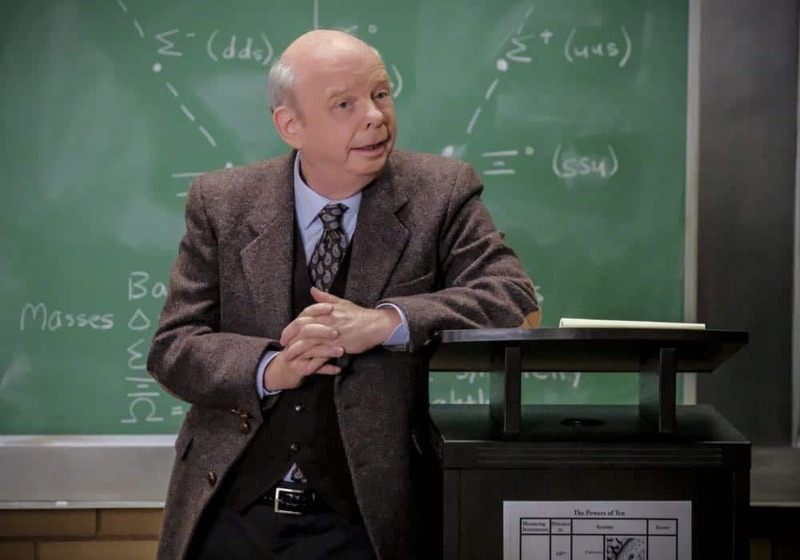 “A Rival Prodigy and Sir Isaac Neutron” – When Dr. Sturgis (Wallace Shawn) bonds with Paige (Mckenna Grace), another 10-year-old genius, Sheldon’s jealousy leads Meemaw to intervene. 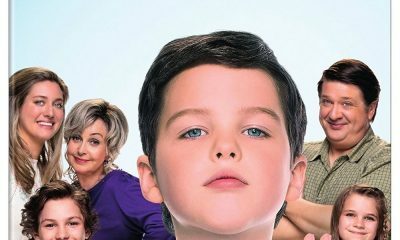 Also, Mary invites Paige’s family over for a play date, when YOUNG SHELDON moves to its regular time slot, Thursday, Sept. 27 (8:31-9:01 PM, ET/PT) on the CBS Television Network. 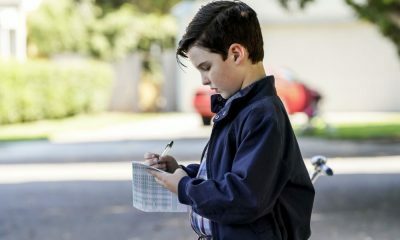 YOUNG SHELDON Season 2 Episode 2 Photos A Rival Prodigy and Sir Isaac Neutron. “A Rival Prodigy and Sir Isaac Neutron” – Pictured: Meemaw (Annie Potts) and Sheldon (Iain Armitage). When Dr. Sturgis (Wallace Shawn) bonds with Paige (McKenna Grace), another ten year-old genius, Sheldon’s jealousy leads Meemaw to intervene. Also, Mary invites Paige’s family over for a play date, when YOUNG SHELDON airs in its regular time slot, Thursday, Sept. 27 (8:31-9:01 PM, ET/PT) on the CBS Television Network. Photo: Darren Michaels/Warner Bros. Entertainment Inc. ÃÂ© 2018 WBEI. All rights reserved. 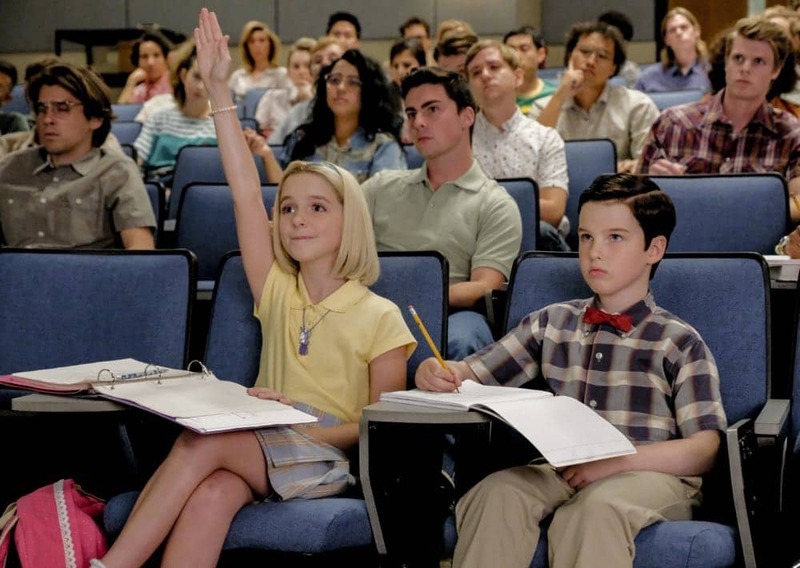 “A Rival Prodigy and Sir Isaac Neutron” – Pictured: Paige (McKenna Grace) and Sheldon (Iain Armitage). When Dr. Sturgis (Wallace Shawn) bonds with Paige (McKenna Grace), another ten year-old genius, Sheldon’s jealousy leads Meemaw to intervene. 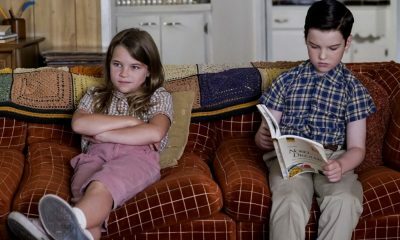 Also, Mary invites Paige’s family over for a play date, when YOUNG SHELDON airs in its regular time slot, Thursday, Sept. 27 (8:31-9:01 PM, ET/PT) on the CBS Television Network. Photo: Darren Michaels/Warner Bros. Entertainment Inc. ÃÂ© 2018 WBEI. All rights reserved. 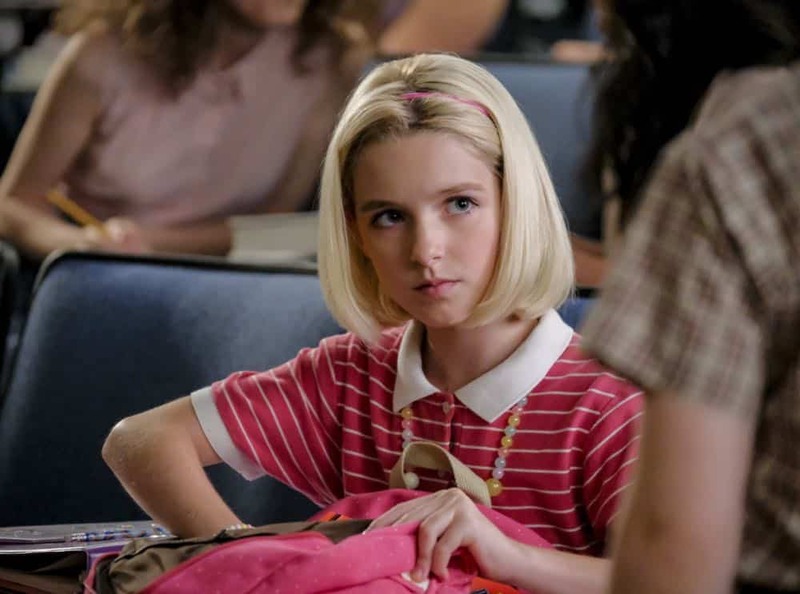 “A Rival Prodigy and Sir Isaac Neutron” – Pictured: Paige (McKenna Grace). When Dr. Sturgis (Wallace Shawn) bonds with Paige (McKenna Grace), another ten year-old genius, Sheldon’s jealousy leads Meemaw to intervene. 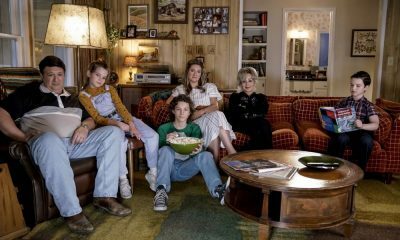 Also, Mary invites Paige’s family over for a play date, when YOUNG SHELDON airs in its regular time slot, Thursday, Sept. 27 (8:31-9:01 PM, ET/PT) on the CBS Television Network. Photo: Darren Michaels/Warner Bros. Entertainment Inc. ÃÂ© 2018 WBEI. All rights reserved. 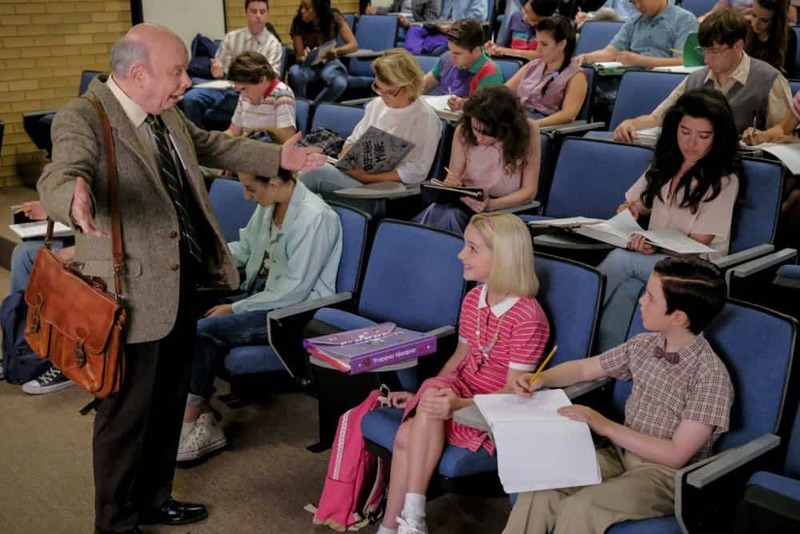 “A Rival Prodigy and Sir Isaac Neutron” – Pictured: Dr. John Sturgis (Wallace Shawn), Paige (McKenna Grace) and Sheldon (Iain Armitage). When Dr. Sturgis (Wallace Shawn) bonds with Paige (McKenna Grace), another ten year-old genius, Sheldon’s jealousy leads Meemaw to intervene. 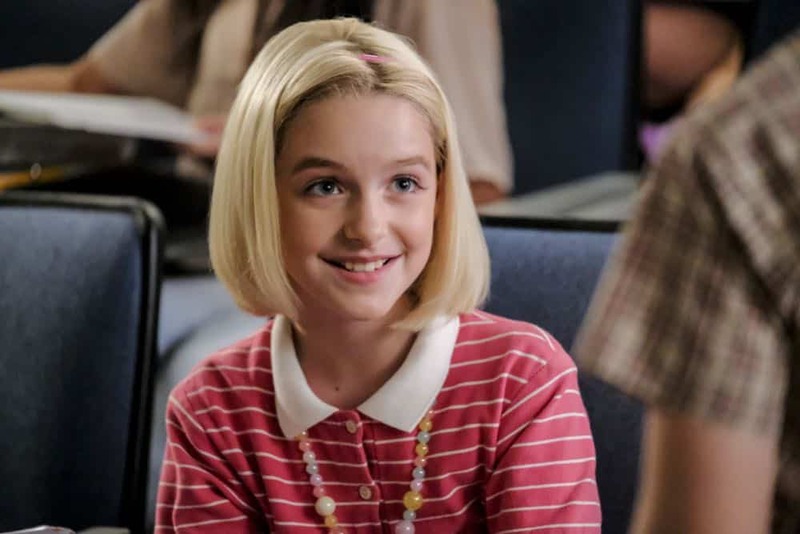 Also, Mary invites Paige’s family over for a play date, when YOUNG SHELDON airs in its regular time slot, Thursday, Sept. 27 (8:31-9:01 PM, ET/PT) on the CBS Television Network. Photo: Darren Michaels/Warner Bros. Entertainment Inc. ÃÂ© 2018 WBEI. All rights reserved. 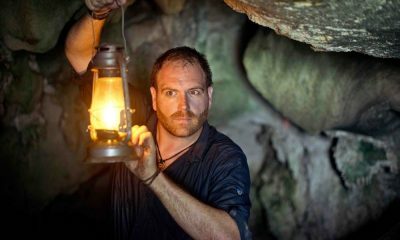 “A Rival Prodigy and Sir Isaac Neutron” – Pictured: Dr. John Sturgis. 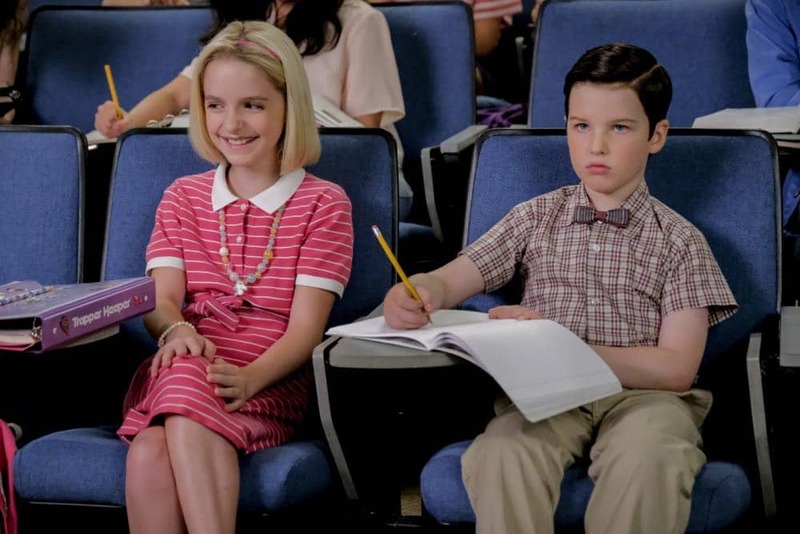 When Dr. Sturgis (Wallace Shawn) bonds with Paige (McKenna Grace), another ten year-old genius, Sheldon’s jealousy leads Meemaw to intervene. 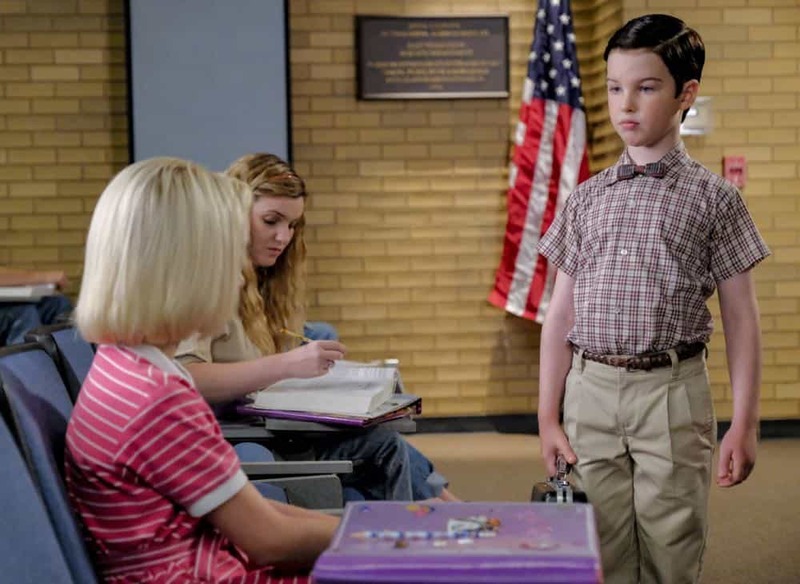 Also, Mary invites Paige’s family over for a play date, when YOUNG SHELDON airs in its regular time slot, Thursday, Sept. 27 (8:31-9:01 PM, ET/PT) on the CBS Television Network. Photo: Darren Michaels/Warner Bros. Entertainment Inc. ÃÂ© 2018 WBEI. All rights reserved.